Do you describe yourself as the “black sheep of the Desi community” because you have no desire to be a doctor/lawyer/engineer? Or worse, were you once on that traditional path before deciding to ditch it to follow your passion … and disappoint your parents for life? Join the club! We’re making t-shirts. But you know what, guys? The club’s getting a little full. Gone are the days of job security. We can no longer count on working for the same company until we retire. We will not be receiving a Rolex with our name engraved on it for 50 years of loyal service. So how, dear MisFit, do you attempt to explain that to your not-so-misfit parents? You first empathize and understand why they have the views they do. Then, you explain to them in the language they understand. (We’ve included actual scripts … you’re welcome). For most parents, career success means having a well-paying STEM job. How did that come to be? Because, for generations, STEM careers have been the most lucrative and stable. It was the only hope our parents had for a sustainable life in India or their home countries. Most of our audience comes from a middle-class background, us included. Life wasn’t easy back home. Parents had to deal with virtually no social safety net and a highly competitive environment for good schools/jobs. Add to that the struggles of daily life — everything from paying a phone bill to getting gas requires standing in long lines and bribing a low-level government employee. So our parents moved overseas with the idea of a better life for their kids. And because they’ve seen STEM careers consistently yield the best ROI, it makes sense that their kids do the same. Because, better life, yo. So now you want to become a <insert non-traditional career here>. Heh? What is that? Where is the money in that? Did your parents work this hard to see you throw it all away? Dear parents, we so appreciate everything you’ve gone through to give us better opportunities. BUT things are different now. While we still value success and financial freedom, how we get there is a little different. The job security you enjoyed in your day just doesn’t exist anymore. Plus, we have more choices now and more success stories that aren’t just restricted to STEM. 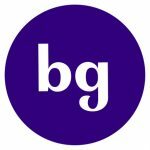 Just look at Hasan Minhaj, Lilly Singh, Mindy Kaling, Ramit Sethi, or anyone featured in Brown Girl Magazine (shameless plug!)! These actors, artists, YouTubers, entrepreneurs, have carved out their own niche. And they’ve created a roadmap for others to follow in their footsteps. In fact, here is the research I’ve done on my chosen career path <insert numbers here … parents love numbers and data>. And here’s what I’ll do <insert exit strategy here> in case that doesn’t work out. Also, I love you and would never treat you like the kids in Baghban. How awful were those kids? I would totally be the Salman Khan character in that movie. Most of our parents were born and brought up in some South Asian country. These are collective societies where people make decisions with their family and community in mind. The support system is great, but the drama and judgment that come with it, not so much. Our parents are driven by duty, not pleasure. But with us, it’s a different story. Most of us have spent our formative years in individualistic societies like the US or Canada. We do things for our own pleasure rather than a duty to others. As a result of changing times, we’re also more ambitious and have a higher tolerance for risk. Especially with women whose careers were previously limited to cooking and child-rearing. Even when it comes to marriage, we think of ourselves as 2 individuals rather than a unit as our parents did. So it’s hard for them to understand our perspective and not think of us as at least a little selfish. Especially when they devoted their lives to us. Dear parents, we’re so grateful for the values you’ve instilled in us and the support system you’ve built. And we will do our best to build a similar support system and life for future generations. But maybe it’s time you took a break and enjoyed the other side — doing something for yourselves once in a while. Yes, our generation may be more self-driven but that doesn’t mean we’re selfish. We want to make a life for ourselves on our own terms, but do it so we can one day give back to you. Yes, we value autonomy and independence, but we still care about family and community. What we don’t value, though, is the “log kya kahenge” mentality. And it’s about time that you stopped caring about that too. There’s a line in Dil Dhadakne Do, that goes “Is family mein sab upar upar se baatein karte hai. Asli baat koi harta hi nahi ek dusre se”. Translation: Everyone in this family talks about things on a superficial level. No one talks openly to each other about the real issues. That’s my family in a nutshell. And I suspect I’m not alone. In South Asian culture, parents aren’t very expressive with their emotions. They don’t prioritize self-care, emotional well-being, or mental health. That carries over to career, marriage, and relationships. It’s always duty over pleasure. The first duty is to provide for and protect the family, sheltering kids from the harsh realities of life. But it’s different with our generation. As much as we appreciate our parents, we’ve also seen how that sheltering has held us back. It’s made us develop a somewhat warped and unrealistic view of the world. Besides, our parents can only protect us so much, so we’re ill-prepared for the things they don’t anticipate. But it’s important to be adults and have difficult conversations. And because they won’t, it’s time for us to initiate it. Dear parents, we’re so thankful for the way you’ve provided for us all our lives. But we live in a different world now. It’s important for us to do something that inspires us. Going into a job we hate every day is making us miserable. And in turn, we make everyone else around us miserable. So why push someone into that? Plus, we don’t all have the aptitude for STEM careers. Personally, I’m much better suited for <insert non-traditional career here>. Why be mediocre doing something I hate when I could be contributing my real talents to the world doing what I love? That can only mean good things for the rest of my career and my mental health. And guess what — I’ll be in a better position to take care of others around me, including you. Just like Salman in Baghban. In our research, we talked to a lot of parents to understand their point of view on a variety of issues. The biggest and most obvious takeaway — they just want us to be happy and safe and have a better life than they did. As kids, the best we can do is reassure parents that we have a path to financial security. And we must encourage open communication. Hopefully, you found the above scripts useful. Now go out there and dare to dream, you beautiful unicorn! 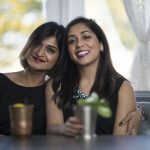 The 9to5 MisFits are a YouTube duo made up of 2 best friends, Pavi Dinamani and Namrata “Nammy” Sirur, who happened to be unemployed at the same time for different reasons. Realizing that there was so much comfort in having a “buddy” to navigate this uncertain phase with, they decided to give others a virtual buddy in the form of their YouTube channel and create a support system and encourage an open and honest dialogue about unemployment.